One of the top scorers in the Alliance, Wood has been a key member of one of the best lines in the association this season alongside Brett Harrison and Tyler Hotson. Wood has great vision when bringing the puck up the ice but also finds himself in great positions for quality scoring chances. Wood has shown these traits are improving game after game. Parsons is a very creative forward is quietly effective in many situations. Some of Parsons best work comes down low behind the opponents net as his puck control and constant pressure on the defense leads to many turnovers and great scoring chances. Parsons size will also be something that junior teams could find enticing. What some people would describe as a pure goal scorer, Burke has been a huge offensive piece for a Chiefs team that has otherwise struggled on that side of the puck. Burke is always a threat to pick a corner while the attention he demands allows others to get open and Burke capitalizes on those opportunities. The improvement Greaves has shown since his bantam season last year has been nothing short of incredible. Greaves is one of the most sound players in his own end in the Alliance while also registering nearly a point per game. Greaves has great size and speed and a heck of a shot from the point. He should follow his older brothers lead into the OHL. Sedley is a player that can do everything very well. His strongest attribute should be his skating as he looks effortless rushing the puck up the ice or returning to his position. He has solid hands and stick handling for a defenseman and has a finishing touch in close to the net. Sedley is one of the top D options coming from the Alliance this season. Don’t be surprised to see Sikic climb up these rankings even more once the season has come to an end. Sikic has been on another level over the past four to six weeks. A big centre with an incredible hockey IQ, Sikic is a complete player in both ends. With his size, Sikic has been playing a more physical game lately. The word about Sikic has been out for a long time, and he continues to elevate his game. The only goaltender in the rankings at this point, Donoso will follow in the footsteps of other Windsor area goalies like Michael DiPietro, Aidan Pitre and Matthew Sbrocca. Donoso has been absolutely fantastic this season as he leads the Alliance with a 1.47 GAA and he’s got four shutouts in 15 starts. Donoso has great positioning and is very good at working the angles and giving shooters very little net to shoot at. Donoso has established himself as the top netminder in the loop without question. Laforme got off to a slow start but has come alive and is now one of the most feared forwards in the Alliance. A power forward by size, I don’t believe there is a single skater in the Alliance who is harder to knock off the puck than Laforme. He’s able to use that strength to allow others to find open ice and create scoring chances. Laforme will be a key figure down the stretch for Brantford. Probably the biggest sleeper in the league in my opinion, Faust has flown under the radar in many people’s minds, but not mine. Faust is the most dangerous offensive option for Windsor as he uses his length and speed to get around defenders and get in close for good scoring chances. The improvement in his skating from last season is a key reason for his accension up the ranks. As Windsor makes its postseason run, don’t be surprised to hear and see Faust’s name more often. The Wolves captain uses his smarts, size and speed to be an effective and top option for the Wolves in many aspects of the game. Way is their number one centre on the top powerplay and one of their best penalty killers. Way has the ability to go through or around defenders. He’s got a quick release that surprises many goalies. If anyone is going to give Laforme a challenge for the strongest on the puck, Way would be that player. 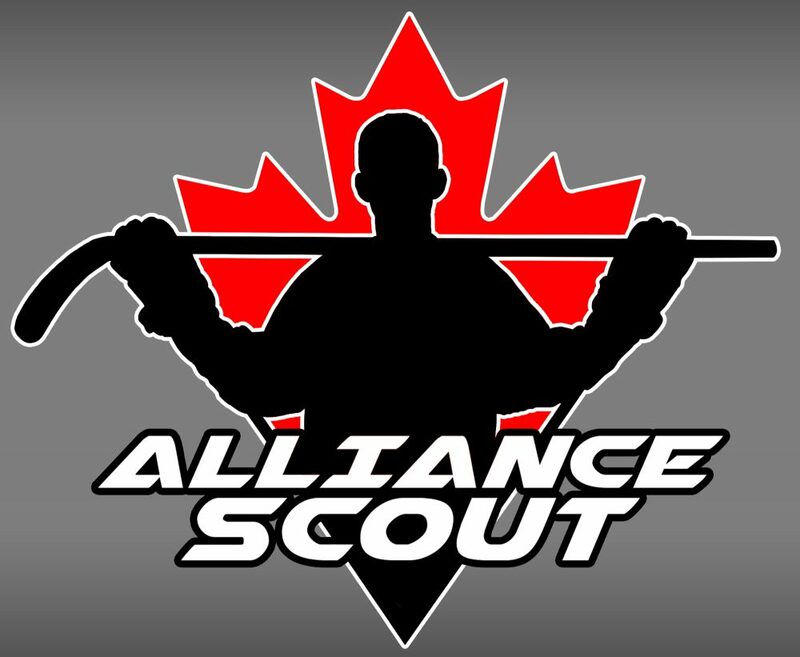 This entry was posted in Alliance Hockey, Alliance Rankings, Brantford 99ers, Cambridge Hawks, Elgin-Middlesex Chiefs, Huron-Perth Lakers, Kitchener Jr. Rangers, London Jr. Knights, ohl draft, Waterloo Wolves, whitby silver stick and tagged 2019 ohl draft, Alliance Rankings, Brantford 99ers, cambridge hawks, cayden faust, cooper way, elgin-middlesex chiefs, Huron-Perth Lakers, kai greaves, Kitchener Jr. Rangers, london jr. knights, marko sikic, max donoso, ohl draft, owen parsons, riley wood, ryan burke, sam sedley, steven laforme, waterloo wolves, windsor jr. spitfires by Dave Coulson. Bookmark the permalink.